The House on Third Street is a work in progress…..and we anticipate our vision will take several years to complete. 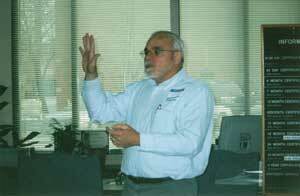 Bob Martin, who was my mentor and an absolutely brilliant man, accomplished so much good in the world. Bob passed away a couple of years ago, but his influences will be with me for the rest of my life. More that anything, Bob taught me how to think outside the box. He had the gift and the knowledge to ingeniously recover, store and re-purpose heat. Most of his breakthroughs were simple solutions, the kind that leave you saying, “why didn’t I think of it.” Bob heated his 5,000 sf home and an indoor pool with his septic tank…. and just before he died….. he switched to heating his home with a green house he designed. The concept was remarkably simple, but has so much potential that I want to do something similar and expand upon it. I plan to be able to store the heat from multiple sources. In the end, it will require a smart controller and sensors to manage the system…. and at this point that controller doesn’t exist in the market place, but it’s something one of our partners is working on. This spring we will be tearing up the back patio in order to install insulated underground pipes between the house and a two story garage we are slowing building. The garage will house a an insulated thermal solar storage tank. For a number of reasons we selected to use galvanized steel trusses and a standing seam steel roof to form The House on Third Street’s roof system. During the summer, our home’s attic temperature can be as high as 140 degrees during portions of the day. In this phase of our plans, our goal is to use the attic heat to heat and store the hot water we use for four to six months out of the year. 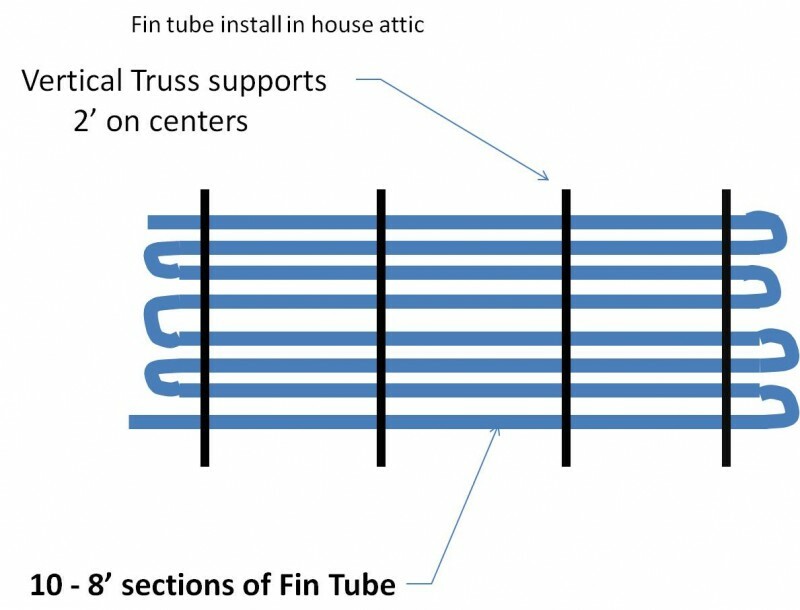 To accomplish this we will be installing 96 feet of radiant fin tube and 240 feet of 1/2 copper pipe in our home’s attic. Supply lines will then carry the Glycol running through the fin tube to a solar storage tank located in the garage. The warmed glycol will circulate through the heat transfer coils located inside the solar tank, in turn warming the water stored in the tank. Separate supply line will carry the warm water from the tank to the whole house tankless water heater located in our utility room. The preheated water will reduce the amount of heat the tankless water heater will be required to raise the water’s in order to produce the temperature of the water being called for. Our ultimate goal is to reduce the amount of electric required to heat water we use for showers and laundry. In phase three, we will construct an underground insulated vault and fill it with compacted limestone. 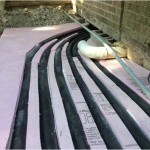 As the limestone is added,Â radiant tube will be placed at various levels. 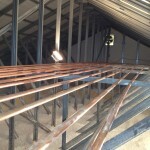 The radiant tubing will allow us to add heat from various sources as will as extract the heat to heat or supplement the heat needed to heat the house and garage. 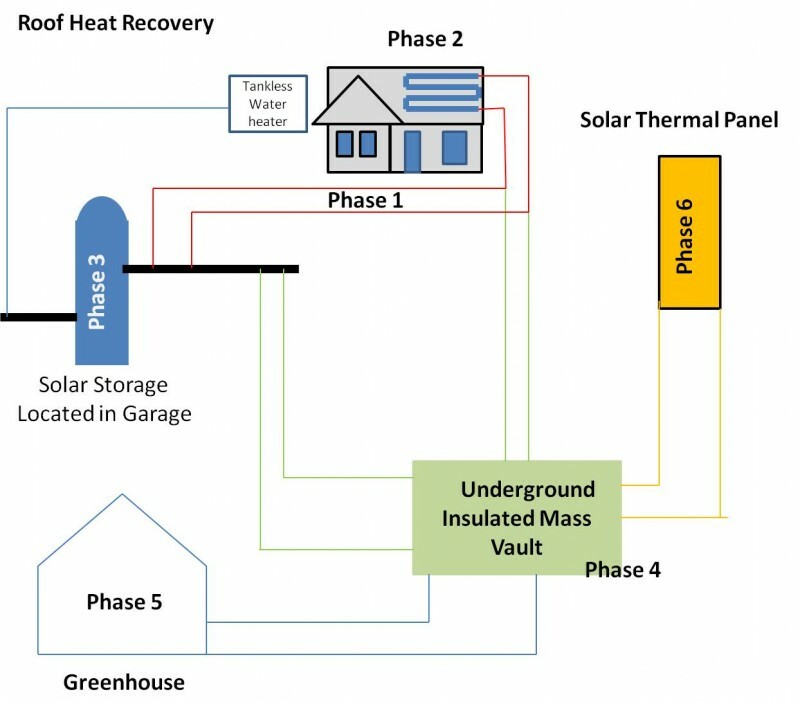 The goal of this project is demonstrate that it is possible to build a small greenhouse capable of capturing and storing solar heat during the day and to use that stored heat to heat a home (homes) or building throughout the day and night. The data collected from this project will help to determine whether it is feasible to use larger greenhouses to heat buildings or a number of homes, thus lowering the cost of heating homes and buildings, reducing their carbon footprint, the use of carbon based fuels and global warning.